The PADI Divemaster course is your chance of obtaining your first level of professional experience. First of all, you will be working closely with a PADI Instructor, you will get the chance to fine-tune your dive skills, while at the same time, work on your leadership and professional attributes to become a dive leader. Furthermore, you will refine your rescue skills and your ability to anticipate minor problems. Most of all, you will, gain dive knowledge, management and supervision abilities so you become a role model to divers everywhere. As a PADI Divemaster, you’ll lead others as you supervise scuba diving activities and assist with diver training. Furthermore, whether you want to work at a faraway dive destination or close to home at a local dive shop, in addition to getting an adventure of a lifetime. Finally, PADI Divemasters are THE respected dive professionals who are aligned with the largest and most respected dive organization in the world – PADI. CPR and first aid are key skills that are important to everyone. Especially relevant when dealing with the non diver. First of all, as an Emergency First Response Instructor, you teach skills based on internationally recognized emergency care guidelines, therefore you can offer courses to anyone. Due to the ease of the EFR courses, they make learning beneficial by providing a comfortable environment to practice emergency care skills. As a result, your students finish the course feeling confident with their new skills so they are ready to help someone in need. First of all, the only requirements are that you’re at least 18 years old. In addition to a Emergency First Response Primary and Secondary Care (CPR and First Aid) training within the past 24 months. 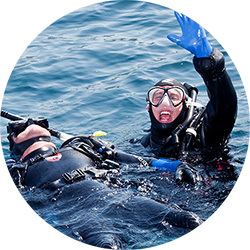 Another benefit of this EFR Instructor rating is that it is required to become a PADI Instructor, finally you don’t have to wait until you’re ready to go pro. 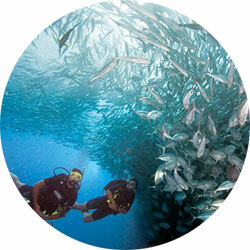 Most of all, complete or refresh this training during your PADI Instructor training.